Concord Village Skilled Nursing & Rehabilitation has been rated a 5 STAR CMS Facility from the Ohio Department of Health! Congratulations to our dedicated staff for continued excellence! 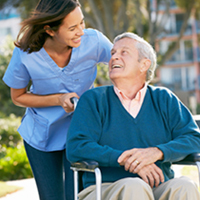 Concord Village Skilled Nursing & Rehabilitation provides a full continuum of care, from short-term rehabilitation, post-surgery recovery, long-term skilled nursing, to hospice care. Our interdisciplinary team of experienced healthcare professionals understands the emotional and physical challenges associated with advancing age, temporary illness and injuries, as well as permanent disabilities. At Concord Village, we measure our success by our patients’ success. Every completed step brings our residents closer to returning to restored health and functional independence. © 2019 Concord Village Skilled Nursing & Rehabilitation. All rights reserved.